Lufthansa might introduce new/revised livery in 2018. Interesting (?) to be there while a rumour is born. Programs: SQ LPPS, A3 *G, BA Silver, aiming for Blue! I saw those mock ups on Wings900 at least ten years ago! It is time LH did something though, it's boring and doesn't stand out at all. Dave_C and worldclubber like this. There are good reasons why most planes are white (or in light colors) today, so I wouldn't expect any major change. It's no longer only a European phenomenon, just look at big players like UA, DL and AA, or EK and QF; not too different from BA, AF and LH. Tyrolean and worldclubber like this. 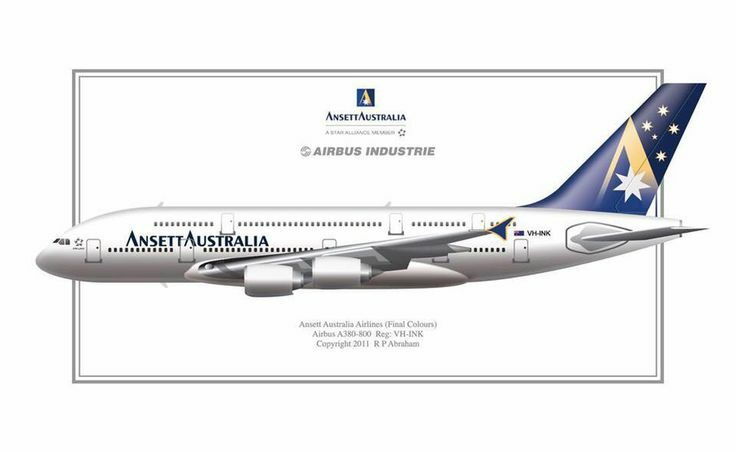 I loved Ansett and hated to see them go. lhrpete, Tyrolean, RoyalSwazi and 1 others like this. D-ABYA (B748) ferried to FCO to get the new paint job. But which new paint job? Don't mess this up LH! Your livery is classic, simple and great. Just a quick disclaimer: I'm the person behind the livery concept marked as "arpdesign". This is NOT the new livery. I did that design purely on request of an aviation news website for an article about how some airlines could modernise their look. My design is all over the net right now. It is true a Lufthansa 747-8 is in for a repaint with a new livery, but it will not be mine. Well, it better not as I was not consulted! lol. I want my money otherwise!. I expect the new livery to only be a slight change to the present one. The cynic in me says they'll just delete the grey belly. That will save paint, which saves weight. It will also save on the down time for the repainting. I know Germany is more about function that form, more about content than packaging. But still, they could do better, couldn't they?